It was New Year’s Eve and I was sitting in the pew waiting for service to start. Down my row to the right was a handsome man and a gorgeous woman locked arm in arm. There was a level of intimacy between them that was very sweet. I thought for sure they were engaged and or definitely married. If none of that was true, I thought for sure he would propose to her at the stroke of midnight and make it a Happy New Year. From the moment I saw their dynamic, I felt she would have a problem letting him go. I even wondered if he was a mama’s boy and hoped he wasn’t. At a family brunch prior to leaving for their honeymoon, she had a conversation with him about her feelings. Once they got seated and she got a chance to spill her guts, she asked Nate, “Am I still the queen?” His reply was, “No disrespect to you mom but Sheila is my new queen.” High five to Nate for standing up to his mother. What I saw on New Year’s Eve and what I’m watching between Nate and his mother is an issue in my community; the black community. Mothers are raising sons on their own and that creates a host of problems not only for him but for any woman he dates and marries. In this dynamic, the son is also a surrogate husband to his mother who smothers him and creates a co-dependent relationship where boundaries are not established. If Nate is going to be successful at leaving his mother and cleaving to his wife, his mother needs to leave him alone and cleave to something or someone else. Although the verse in Genesis is directed to the spouse, I believe parents play a huge role in making it possible and easy for their children to leave and cleave. It’s hard for a mother to cut the umbilical chord when her son is the only man in her life and that is why the epidemic of single motherhood is a problem. While I don’t believe Nate and Sheila will stay married beyond the experiment, I hope this experience is the catalyst to his mother cutting the umbilical chord and establishing her own life so that should he marry in the future, he can leave and cleave to his wife with ease. Nate’s mother needs to know this; the parent-child relationship is temporary and the husband-wife relationship is permanent. What say you? What role do parents play in helping their children leave and cleave? How important is it to individuate from our parents once we marry? Did you have a hard time individuating from your parents? Wow… This is some powerful stuff here. My Mother In Love always says your daughters are yours forever, but your sons go and take a wife. Seems she took this lesson to heart. I pray I’m raising my own sons to go be good husbands to the wives God blesses them with. Based on observation and experience, sons tend to cling more to their mothers and daughters tend to cling more to their dads. I too, hope you are raising sons to be good husbands to their future wives. It’s imperative that mothers cut the umbilical chord and let their sons live their own lives. Individuating is important. I believe parents, especially mothers, play a key role in how it happens. Yvonne, In the years I counseled women the leaving and cleaving issues came us many times. I like how Dr. Jenn defined individuating. ” This means that while you respect and may be interested in your parents’ opinion, at the end of the day, you do what you believe is right in your own best interest, regardless of their reactions.” I think even for singles it’s important to leave and cleave to Jesus. When we grow up we transfer our dependence on to Him. 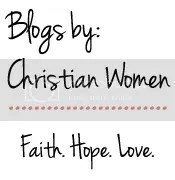 Debbie Wilson recently posted…Are You Trying to Straighten What God’s Made Crooked? I have a son myself and he is (or was? still is somewhat?) a momma’s boy. I hope that I have taught him over the years how to treat a woman, that he knows that he needs to leave home and that he needs to be all there for his wife. This was very powerful stuff, makes me stop and think and see if I really have done everything I needed to do for my son. It’s great that you are aware of who your son is and what you have done and can still possibly do to prepare him to leave and cleave. Wives don’t want mama’s boys! As I said in the post, I believe parents play in role in how/if their sons leave and cleave to their wives and family. As long as you let him go to do so, all will be well. Yes, I agree. I lived on the same court as my in-laws for many years Sadly, they have both passed and while I do consider it a blessing to have been close to them, we definitely needed to have some boundaries. His mom learned when my husband would ask her opinion and tend to choose hers over mine to “ask your wife” lol. Boundaries are super important especially when living in such close proximity. Your mother-in-laws’ response to her son was spot on! I recently read a post in which someone gave her daughter in law to be an apron with the strings removed as a shower gift, and I’ve had that image in my mind ever since. As a mother of four boys, I’m being very careful to make sure that the d-i-l ‘s (as they come) know that they’re #1 from now on. That’s a unique gift to say the least and it sends a powerful message. Love it! Making sure your daughter-in-laws know they are number one is wisdom. Clap Clap Clap!!!!! all around great post omg! I have seen this sort of behavior and thought I would fall to the ground. Great read Yvonne thanks for sharing. Thank you. I see this behavior often. No disrespect to single mothers, however, if men are going to be men plus great husbands to their wives, mothers need to leave their sons alone and give him the space to leave and cleave to his wife. It’s such a fine line, isn’t it, Yvonne? Moms want to love their sons well and wish the best for them but then it’s hard to let go. I pray that when my son gets to that age I’ll have the wisdom (through your words and others) to respect his wife and honour their union above my relationship with him. I hope so too Marva. Mothers have to raise their sons to be men then let them go. I had this issue with my MIL. To the point where counseling had to come into play. She needed to hear this exact thing from someone else! Luckily the counselor did say this exact thing and so far, things have been better! Thanks for sharing! I’m sorry. I hope things continue to get better and better between you and your MIL. Everything goes left when a person doesn’t know their place and oversteps their bounds. When I saw the relationship between Nate and his mom, I cringed (most of the show has me that way). I knew they had that type of relationship from the time they showed him and his mom. I really don’t think the relationship with him and his wife, will go well because of his mother. I never seen any marriage work for a guy with a mother like that! I think Nate and Sheila will divorce, however, I don’t think his Mom will have anything to do with it. They simply are not a match. The experts made a mistake matching them based on faith. Nate is not a Christian. He has religion, not a relationship. It’s obvious! Yvonne – great points and I completely agree! I have friends that are having a hard time cutting the chord with their adult sons still living at home and not wanting to let them go. You had some great points and observations as well. Thanks for linking up with #TuneInThursday last week. Hope to see you tomorrow too. I was very close to a couple who were like second parents to me. They had been married for 67 years when she died. Her husband told me that his biggest regret in life had been not standing up *to* his mother and not standing up *for* his wife! His mother behaved abominably toward his wife for the first 30 years of their marriage, right up until his mother died. He regretted that he had done nothing to solve the problem during those 30 years and nothing to make up for it during the remaining 37 years. Dang! Sad, sad, sad! If a man can’t stand up to his mother and put her in her place before marriage, he ought to wait until he can. He must be able to stand up for his wife! I think mothers have a responsibility. A mother ought to let her son leave and cleave to his wife. She had her time with him. Just because he’s married doesn’t mean their relationship ends it simply means it shifts to a new location. And I forgot to mention, Yvonne, she was not a single mother. She had a husband, who she also treated badly. It was all about her and their only child! As an older woman, I have more than a few female friends who have raised their sons as single parents for whatever reason, and I have never seen this dynamic of “surrogate husband” within their families. They have raised well-rounded/grounded individuals! It would be nice if the wording in your article would state “some” instead of generalizing as a whole. Ya uh huh according to Clinical studies or woman married to actors or rappers stars ? ?